If you want your restaurant to be, or remain, a success, you should invest in a detailed maintenance program. No one who opens a restaurant has visions of equipment maintenance. This isn’t glamorous, but it’s a necessary part of doing business. The reality is that too many restaurateurs ignore maintenance issues until something breaks. Being proactive about maintenance just isn’t as exciting as planning a menu or paying attention to your decor. But it’s important nonetheless. The good thing about having a restaurant maintenance plan is that you can catch potential issues before they become major problems. You can even save some cash by doing so. One industry association survey found that those who had formal processes in place spent an average of 50 percent less on facilities and maintenance than the industry average. 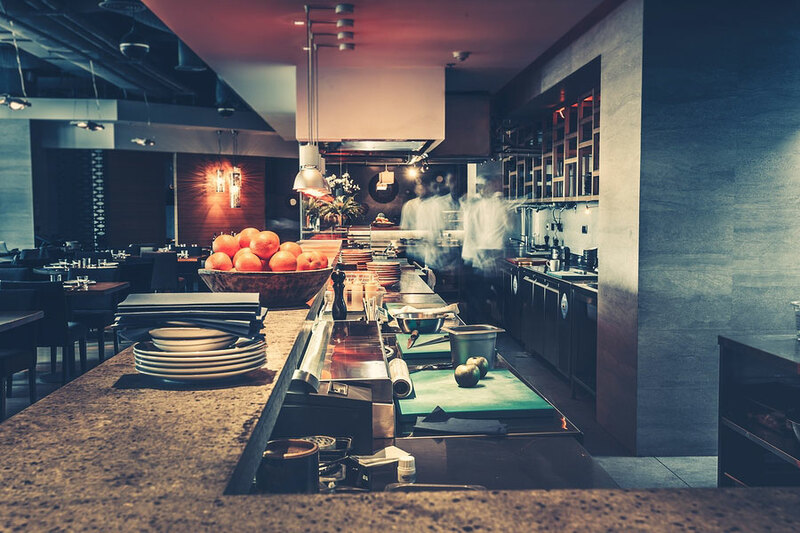 If you want to keep your establishment in top shape, here are several essential elements of a successful restaurant maintenance plan. Does your restaurant have a plan in place for what happens when something breaks? If it doesn’t, it certainly should. When a vital piece of equipment either breaks down or starts to deteriorate, have written procedures on hand that outline who to notify and who is in charge of taking care of the issue. Are you going to handle repairs in-house or have an approved vendor on standby for these issues? Figure this out in advance. Your restaurant should also have a preventative and routine maintenance program established. Most equipment warranties will become invalid if you don’t provide a minimum amount of maintenance and have proof on hand. This applies to major equipment such as an HVAC system and under-the-counter chiller as well as minor equipment such as grease traps and hood vents. You should also have an upkeep plan in place for things like carpet, paint, grout, and bar tops. Doing maintenance is all well and good, but you’ll also want to establish a tracking system – and use it. This can be an elaborate work order management system or a simple spreadsheet. Some of the things you should track include the piece of equipment, its serial number, the warranty information, dates and nature of repairs, and any other notes about the equipment. This will give you all the information you need about each piece of equipment in your restaurant or at each location. Whether you decide to handle repairs in-house or outside, you’re will want to have this established upfront. There may come a time that your plans for maintenance or repair aren’t working out, so it also helps to have backups in place. For example, what if a guest toilet overflows just before the dinner rush? If you have a contract in place with the right providers, they will be there to handle a quick repair when you need them. Another option that you should consider for your restaurant maintenance program is outsourcing. Few restaurateurs opened their eateries with the goal of focusing on equipment maintenance. If this is something that you’d rather hand off to someone else, there are companies that have specific expertise in these areas. They will come in and establish your maintenance tracking system and take care of the rest of those routine and repair issues on your behalf. To keep your restaurant humming along smoothly, every aspect of the operation must run efficiently. If just one detail gets missed, this could force a shutdown or impact your bottom line. Fortunately, once you have a maintenance plan in place, you put the focus where it belongs – on the food and customer satisfaction. If you’re ready to set up a restaurant maintenance plan, we at ABS Facility Maintenance are happy to help. Our pre-screened technicians are ready to assist you today. ABSFM offers a wide range of services to the Restaurant and Facilities Industry. Contact us today and let ABSFM be THE source for all your facility maintenance and repair needs.